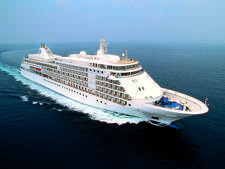 Silver Cloud, Silversea's first ship (debuting in 1994), had grown tired and dated until the luxury cruise line gave it a huge makeover and re-introduced it in November 2017 as Silver Cloud Expedition. 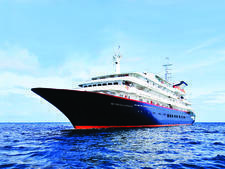 It's now the newest -- and most alluring -- vessel to join Silversea's fast-growing fleet of expedition ships, and is the hot new superstar of all expedition ships, not just Silversea's. 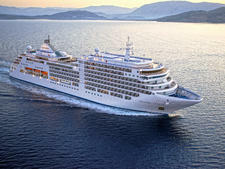 Silversea spent more than $40 million to revamp the posh yacht into an ice class-rated vessel equipped to sail Polar Regions. The shipyard additions included extensive steel reinforcement, new sonars for underwater detection and polar temperature-resistant windows. 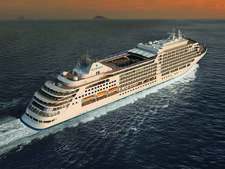 All suites (except bathrooms), the spa and most public spaces were remodeled into the modern Italian Silversea flagship design of 2017-debuted Silver Muse. Prior, there were only three Silver Suites; now there are 12. 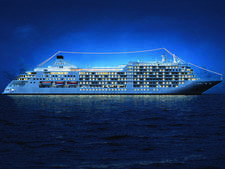 Silver Cloud Expedition is the first Silversea expedition ship to debut a photography studio for classes and picture-printing. New black-and-white photographs throughout the ship celebrate early polar explorers, such as the iconic Ernest Shackleton, depicting arduous expeditions -- and you can't help but compare their travel style to yours. 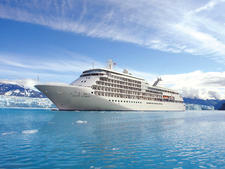 Silver Cloud Expedition carries 200 passengers on polar cruises, and 254 passengers elsewhere. On polar sails, expect more crew than passengers. With 22 expedition experts -- many with Ph.D. specialties ranging from marine biology to ornithology -- onboard, passengers find many opportunities for one-on-one conversations. 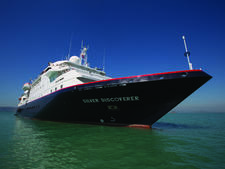 But here's Silver Cloud's most exclusive lure: It offers what other expedition ships, including Silversea's own Silver Discoverer and Silver Explorer, can't -- the abundant amenities of a luxury yacht. Eighty percent of the all-suite accommodations feature verandas. All passengers enjoy white-gloved butlers, who can stir a nightly martini in-suite at 6 p.m., and return at 7:30 p.m. to serve a sumptuous dinner course by course. But why stay suite-bound? With five upscale dining choices, an outdoor heated pool and two whirlpools, spa with diverse treatments (crystal sound bath healing, anyone? 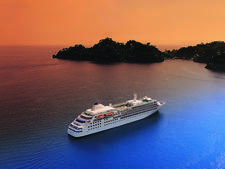 ), comprehensive fitness center, photo studio, boutiques and bars, Silver Cloud Expedition offers all that both traditional luxury cruisers and adventure-seekers crave. Silver Cloud Expedition draws a more physically active, younger clientele than Silversea's traditional cruise ships, where passengers might be 60 to 85 years old. Cloud passengers are typically 45 to 75 years old and are mostly American, with some Brits and Australians. They're friendly, well-traveled and mostly affluent. 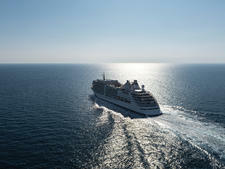 Some are Silversea aficionados on their first expedition sail. Others only embrace adventure travel. Cruise Critic’s professional photographers and our extraordinary community members have taken 892 pictures of Silver Cloud Expedition . When you visit our photo galleries, you can be assured that what you see is what you get. Casual attire, including jeans, is the daytime norm, and anything but jeans and shorts rules at night. Silversea offers detailed expedition packing recommendations on its website; purchase online for delivery to your home or suite. All passengers on polar expeditions receive complimentary parkas, backpacks, an expedition hat and even a Silver Cloud Expedition sew-on patch. You may borrow boots but not all sizes are available; it's best to bring your own if you have them, or are planning other expeditions, for wet landings (when passenger hop off Zodiac boats into shallow water). At night, men usually sport button-down shirts and slacks, and women wear pants outfits -- although some passengers stay daytime casual. For the captain's party evenings, men may don a sports jacket and the occasional tie. Some passengers also dress up for dining in La Dame by Relais & Chateaux. 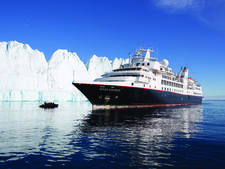 Cruises include gratuities for housekeeping and restaurant staff, shore excursions, meals (except in La Dame by Relais & Chateaux), snacks, beverages (alcoholic and not), a certain amount of Wi-Fi, laundry room use and the aforementioned parkas and backpacks on polar sailings. The only additional costs incurred are for the spa and beauty salon (gratuities for these services are also not included in your cruise fare), cigars, laundry service, premium list wines and spirits and internet use beyond complimentary inclusions. The onboard currency is the U.S. dollar.